When my kids were little, every time we’d drive past a cemetery they would hold their breath. I had never heard of that before (they didn’t get it from me! ), but apparently it is a superstition based on the belief that if you don’t hold your breath, you could breathe in an evil spirit that could control or kill you. Well then! Sadly, I feel like holding my breath a lot these days! I spent a good deal of my life figurately holding my breath through the “bad times”. I became quite masterful at looking the other way, “thinking about it tomorrow”, or doing just about anything to avoid the bad feelings. As I matured, I added “spiritual bypass” to my repertoire. The other day I heard a woman make a comment about how she “only has 3 years left to go” with something – I couldn’t even tell you what the “something” was: my thoughts froze at that statement. It immediately brought me back to the time, years ago, when I was telling my therapist that I couldn’t wait – I only had 11 more years until retirement! She looked at me and said “Did you hear yourself? You are living an unexamined life of quiet desperation.” And she was right. I felt trapped, that I had no choice, and more than that, that I didn’t have the right to any choices. The first thing I did with this new awareness was to see if I could change my attitude towards my job, from that of “drudgery” to reframing it as “the income that allows me to pay my bills”. This exercise helped me realize that yes, while that reframe was true, what was really happening was that I was ignoring the feelingsthat came with the job: I was miserable and felt like I was dying inside. So, for the first time in my life, I decided to listen to that part of myself: to feel that misery AND to believe that I had a right to live a happy life. It was one of many “first steps” that I took to get me on a path to well-being on all levels. While the world around me now seems chaotic and fairly insane at times, I still have the ability to make choices on how I live. I still need to do things that may be uncomfortable for me, but I don’t let them define me. I find other ways to bring joy into my world and protect myself on all levels from that which does not serve me. If I am upset or angry, I acknowledge it, I feel it….and I let it go. I find alternative viewpoints on situations and always align myself with the people, places and circumstances that support my values. Life is too short not to do that! 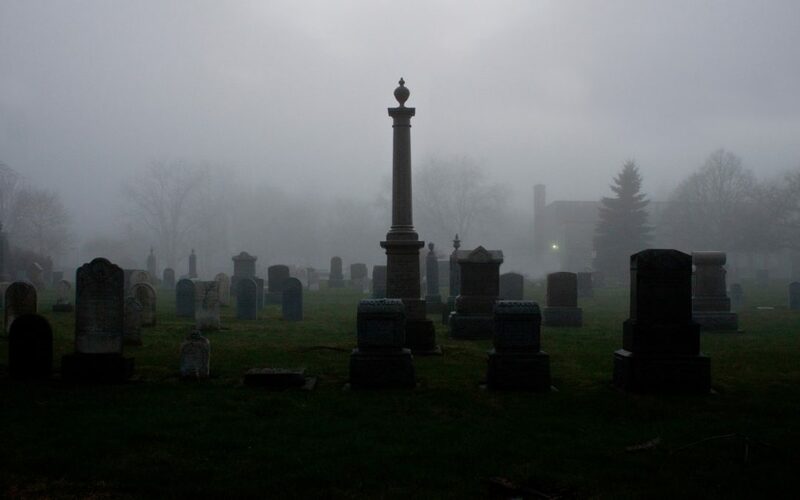 This Halloween, feel free to take a breath when you pass those cemeteries. Those evil spirits got nothing on you!